Lunch break for corporate employees meant ordering delivery and eating on the corner of a desk. We know, because we’ve been there and ate like that during our corporate years. 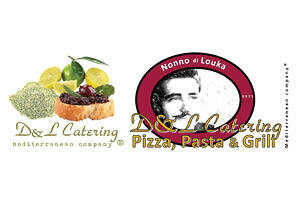 This is how we came up with the idea to change things, and D&L Catering was born. We are a dynamic team of food enthusiasts; our work is focused on encouraging people to eat together and enjoy healthy, fresh food every day. We combine a range of traditional and innovative recipes with a relaxing and fresh atmosphere, while offering high quality services. We Aim to establish a new standard for cafeteria restaurants. We believe that food can take you places. You’ll find a lot of global cuisine on our menus — authentic dishes from all over the world. We are creating food that is alive with flavor and nutrition, prepared from scratch, using authentic ingredients. Our menus are written based on seasonality and availability of regional fresh product. We care about the smallest detail, because – after all – details make the difference. We listen to our clients, see and understand their specific needs, and together we find ways to offer their employees the best lunch experience in a nice and relaxing atmosphere. We successfully applied this model with two large multinational software corporations, and we are currently serving more than 1500 people every day.